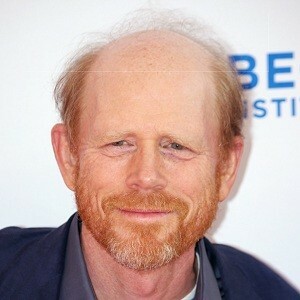 Ron Howard (born in Duncan, Oklahoma, USA, on March 1, 1954) is a renowned American film director and producer. In 1977, he directed his first film Grand Theft Auto (he starred and also wrote the script). The film was successful and it was a good start for his directorial career. He went on to direct many successful films in later years, including Cocoon, Willow, Backdraft, Apollo 13, A Beautiful Mind, Cinderella Man, The Da Vinci Code and Frost/Nixon. He received his first Best Director of the Year award from the DGA for Apollo 13 in 1995, and in 2002 he received an Academy award (Best Director category) for the film A Beautiful Mind. The film also won an Oscar for best film. He frequently collaborates with composer James Horner for most of his films, and in an interview about his view on him, said: "What continues to impress me about James is that he’s a terrific storyteller, he thinks dramatically, and he leads with his soul, I really appreciate that". RON HOWARD: "I REALLY MISS JAMES." In 2013 we have definitely been spoiled by Intrada, with three James Horner albums: after the vibrant and unpublished In Country, the valiant and percussive Clear and Present Danger, here is the emotional and sensitive Cocoon. This is the perfect opportunity to revisit this outstanding music composed at the beginning of the Maestro's career, and look at the new elements of this edition. "There is a before and an after Cocoon because Steven Spielberg loved this film and my music. My career really took off with Cocoon and An American Tail. I walked into the Hollywood tradition at that time "